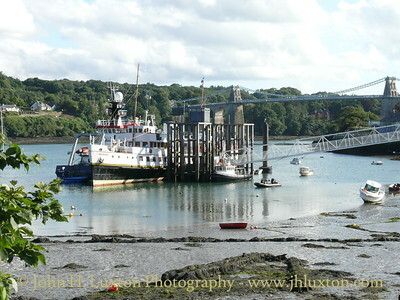 The original St George’s Pier at Menai Bridge pier dates from the early part of the 19th Century being originally built for the St. George Steam Packet Company. 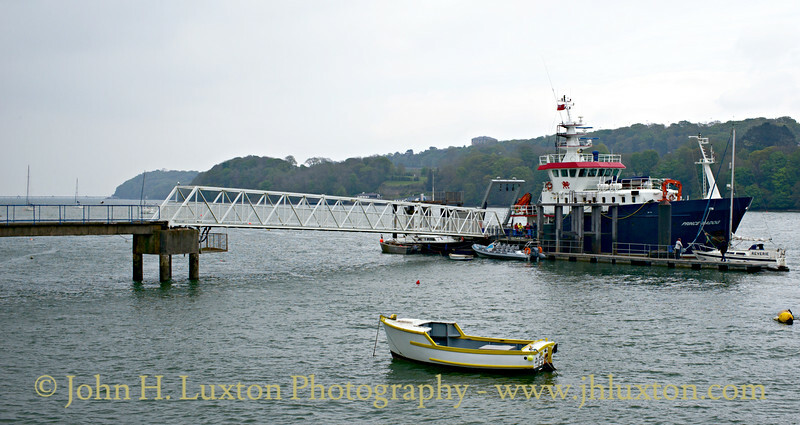 This pier was replaced by a shorter pier which was officially opened by David Lloyd George MP on September 10th, 1904. The pier was the western terminal of the Liverpool and North Wales Shipping Company and the gatehouse was used as a ticket office. 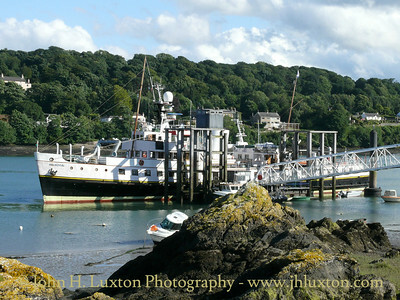 Timber and coal were also landed here. 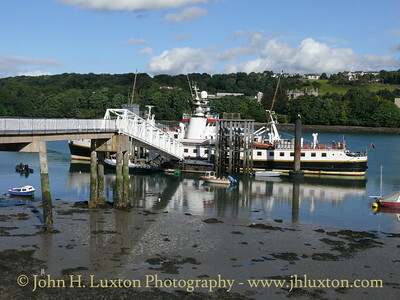 The regular passenger service to Liverpool terminated in the early 1960's, however, the pier and landing stage became a northern base for a few years in the 1960s of P&A Campbell White Funnel Fleet who used the former Liverpool & North Wales Steamship Company ST TRILLO and the Isle of Scilly Steamship Company QUEEN OF THE ISLES for cruises and excursions. 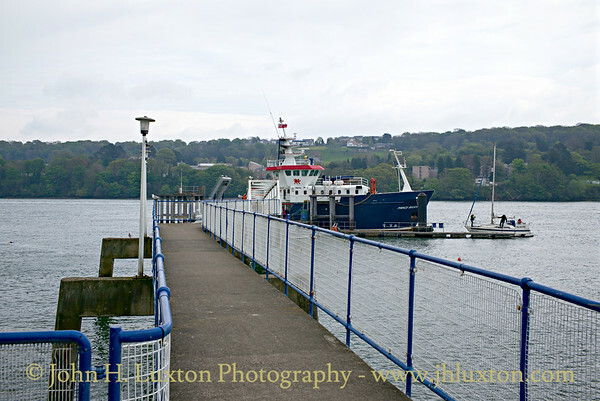 The 1904 iron pier was replaced by a narrow concrete structure with a modern passenger footbridge leading down to the landing stage. 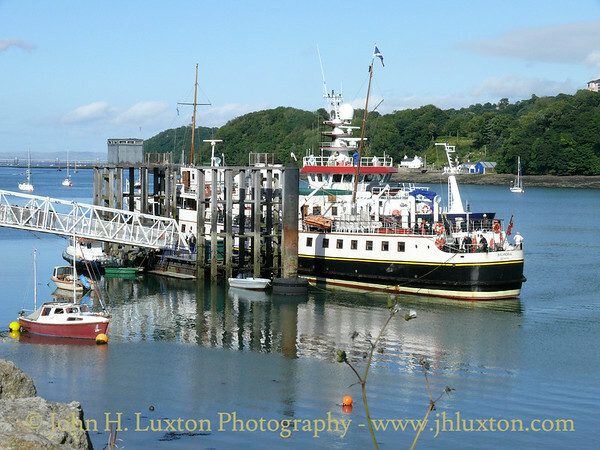 From the 1980s the pier has been used for occasional calls by the historic motor vessel MV BALMORAL operated first by Waverley Steam Navigation Company and in recent years by MV Balmoral Fund trading as White Funnel Steamers. 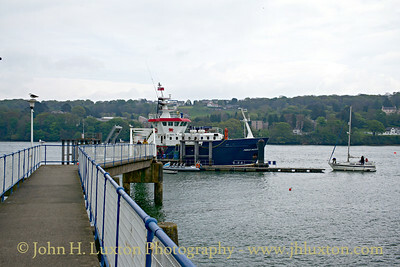 St George’s Pier is the base for the research vessel PRINCE MADOG which is operated by P&O on behalf of the nearby Bangor University. 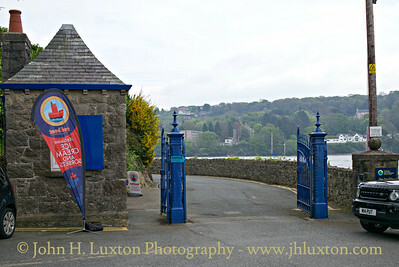 The Toll Gates and Booking Office at St. George's Pier, Menai Bridge, Wales. 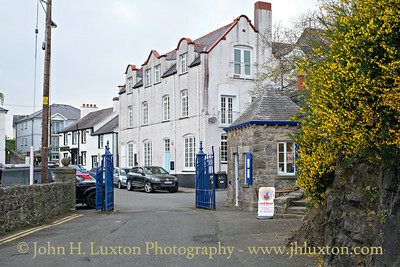 The gates provided access to a landscaped promenade with seating on the approach to the St George's Pier Itself. The Booking Office is a listed building and once served the Liverpool and North Wales Steamship Company which operated sailings to Liverpool. 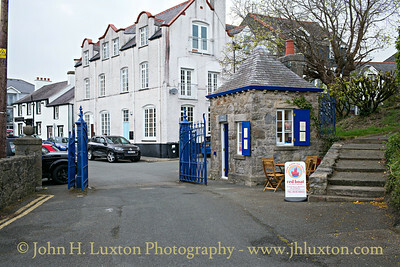 The Booking Office is now conserved and has recently opened (2016) as an ice cream kiosk. 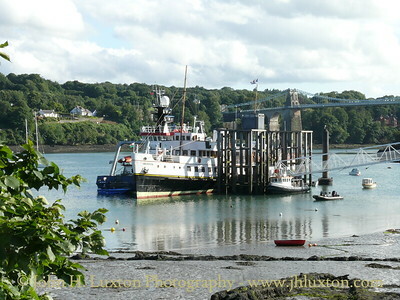 Bangor University's RV PRINCE MADOG seen berthed at St. George's Pier, Menai Bridge, Anglesey. 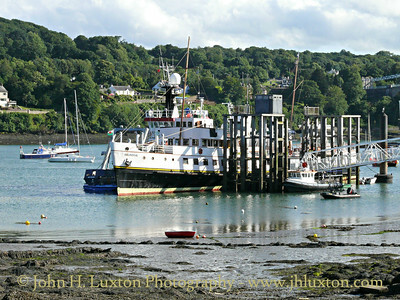 MV BALMORAL and RV PRINCE MADOG along side the pontoon at Menai Bridge Pier, Anglesey. Telford's famous A5 Suspension Bridge can be seen in the back ground. 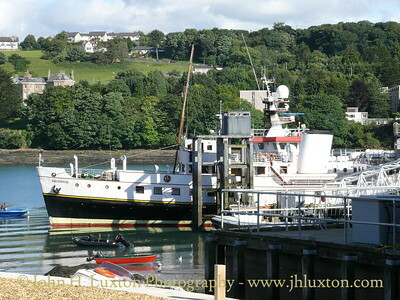 MV BALMORAL and RV PRINCE MADOG along side the pontoon at Menai Bridge Pier, Anglesey.